Even if you don't have any vision problems or issues with your eyes, you should still search "optometrist or opthamologist San Antonio" and have a comprehensive medical eye exam. When you see an optometrist or ophthalmologist, they're able to detect problems early before they cause problems for you. The exam also helps identify any vision problems that you may not know about. We encourage most patients to see Kozlovsky Delay & Winter Eye Consultants, LLC, serving San Antonio and the surrounding area, once per year for a comprehensive medical eye exam. 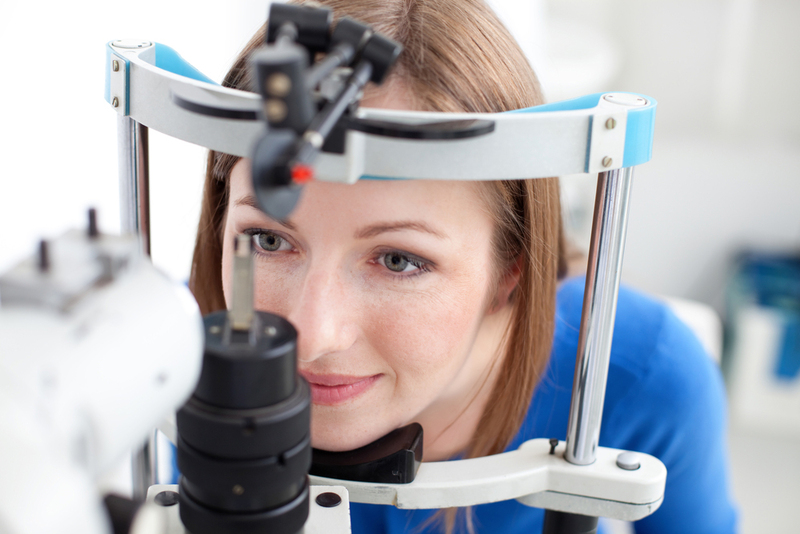 Our comprehensive exams consist of a test to evaluate your visual acuity. During the first portion of your exam, either our optometry or ophthalmology expert examines the inside your eye to look for any visible signs of eye issues. Once we check your eyes and vision, we may need to conduct a contact lenses fitting. Throughout this portion of the test, you'll need to look inside a machine that checks the dimensions of your eyes. This allows us to pair you with a prescription for the right size contacts and correct prescription strength. At your appointment, you may discuss any issues you're having as well. We can educate you on ways to help and provide you with treatment if necessary. We have four eye experts in ophthalmology and optometry on our team who provide our patients with comprehensive vision and eye evaluations. Dr. John F. Kozlovsky is a medical doctor who specializes in caring for patients with corneal/anterior segment disease, glaucoma, and cataracts. He's conducted over 15,000 cataract surgeries throughout his career. Dr. Richard Delay is certified by the Texas optometry board and specializes in corneal/anterior segment disease, glaucoma, and contact lenses. Dr. Bruce L. Winter's specialties are pediatrics and adult ophthalmology. He also specializes in caring for those with corneal/anterior segment disease, glaucoma, and cataracts. Dr. Jeannine E. Camacho completed her degree back in 2010 and now practices at KDW Eye Consultants as a specialist in glaucoma and therapeutic optometry. She also helps patients who suffer from diabetes and have eye problems like diabetic retinopathy. Whether you searched "optometrist San Antonio" or "ophthalmologists San Antonio," contact Kozlovsky Delay & Winter Eye Consultants, LLC, serving San Antonio and the surrounding area, today to schedule an appointment for a comprehensive eye exam by calling (210) 740-0657.